Address: Carretera de Fontaneda, s/n, Sant Julia de Loria, Andorra. 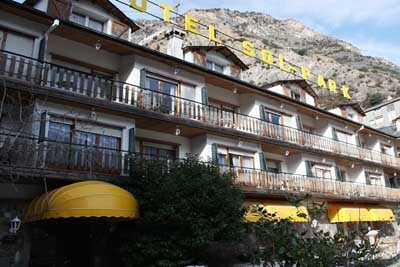 Free WiFi, a spa and panoramic views of the surrounding valleys are offered at Hotel Sol-Park. 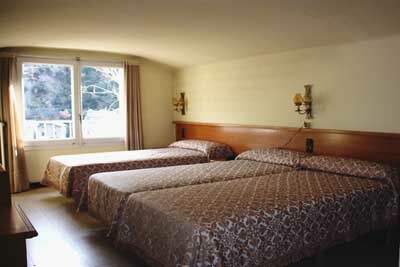 Situated in Sant Julià de Lòria, it is just 200 metres from the CG-1 Main Road and 6 km from Andorra la Vella. 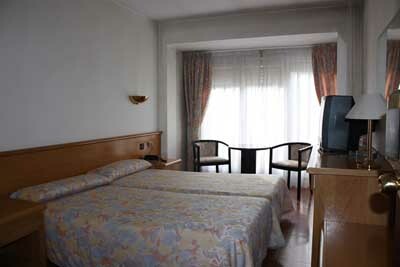 Each room at Sol-Park includes heating, minibar with 1 free bottle of water, and a flat-screen TV. Some room feature a furnished balcony. 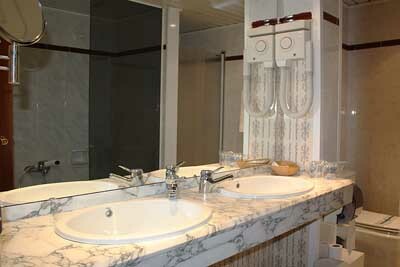 The private bathroom comes with free toiletries, bath or shower, and hairdryer. The hotel's spa includes hydromassage baths, Turkish baths and a sauna for a surcharge. There is also a free small gym. Massage services are available for an extra cost. Public areas at Hotel Sol-Park include a café-bar and garden-terrace with wonderful mountain views. There is also a TV room. Sol-Park is only 12 km from La Rabassa Ski Resort. The Naturlandia Theme Park can also be found here. Buses to nearby shopping centres leave every 10 minutes. The hotel can also arrange airport transfers. A charger for electric cars is also available. Please inform Hotel Sol-Park in advance of your expected arrival time. You can use the Special Requests box when booking, or contact the property directly with the contact details provided in your confirmation. The spa opens from 16:00 to 22:00. Spa access is payable directly at the hotel. Please note that children under 10 years old are not allowed in the spa. Children from 11 to 15 years old must be accompanied by an adult.